In this special podcast of "Behind the Mitten," co-host John Gonzalez of MLive talks to actor Robert Newman, who stars in the current production of "Love Letters" at the Barn Theatre in Augusta (near Kalamazoo). The Barn Theatre School is Michigan's oldest professional Equity summer stock theatre company. Getting his start as an apprentice in 1981 at the Barn, Newman has returned for 11 productions over the years. He said his humble beginnings as an apprentice gave him an appreciation for the teamwork it takes to put on a show. "It can be a little maddening because you're doing so much work that's not on stage," he said in our interview. "It's just such an amazing learning experience. It gives you a respect for how everything in the theater has to work together." 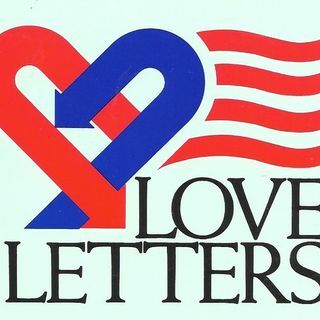 In "Love Letters," Newman stars with Penelope Alex as they tell the story of Andrew Makepeace Ladd III, and Melissa Gardner, two affluent East Coasters who meet in the second grade and communicate through letters and postcards over more than 50 years. Newman said there is no set except for two desks; "no staging, no bells and whistles and no special effects." "It's not going to be like anything you've ever seen before," he said. Written by A.G. Gurney, it was nominated in 1990 for a Pulitzer Prize in Drama. "Love Letters" continues through June 14. John Gonzalez and Amy Sherman are co-hosts of "Behind the Mitten," a show about Michigan beer, food, festivals and the people who make it happen!